Between your own team, your clients, the businesses you partner with and professional newsletters to which you’ve subscribed, you likely get a sizable number of emails throughout the day. Depending on your role and the size of your organization, you may be receiving hundreds of messages. With such a volume, it’s impossible to respond to every last one in a timely fashion—but how can you be sure you’re replying to all of the most important emails quickly? And how can you strike a balance between getting through your email and still having the time you need to handle all of the other aspects of your work? • Don’t send email if you don’t have to: Sending email creates the expectation of a reply, and likely a back-and-forth exchange. Think about how much less email you would have if you simply sent less of it. And if communication can happen more effectively offline, such as when there’s a dispute to settle, that route may be best. • Develop a routine: Responding to emails as they appear in your inbox may seem efficient—until you realize how often it interrupts what you were already doing. Carve out some specific time each day to address your inbox, with the goal of leaving nothing for tomorrow. • Take advantage of “mark as unread”: If you’ve received a barrage of emails during the day, one way to prioritize your replies is by going through your inbox quickly to get a lay of the land, marking as “unread” any email that may require more time and attention. Also, use flagging or tagging tools – like those available in Outlook. These are color codes to help with reminders and segmentation. • Acknowledge the emails you receive: Many emails don’t require much more than an acknowledgment that you’ve received and read them. As you’re going through your inbox, you can quickly send replies to these messages to avoid leaving anyone hanging. If you have an autorepsonder – use it so they do not feel like you are ignoring them. • Pay careful attention to your language: Using clear and precise language in your email communication is a great way to eliminate the likelihood of more emails asking for clarification and leading to further inbox clutter. Consider picking up the phone to avoid any misunderstandings and excessive replies. 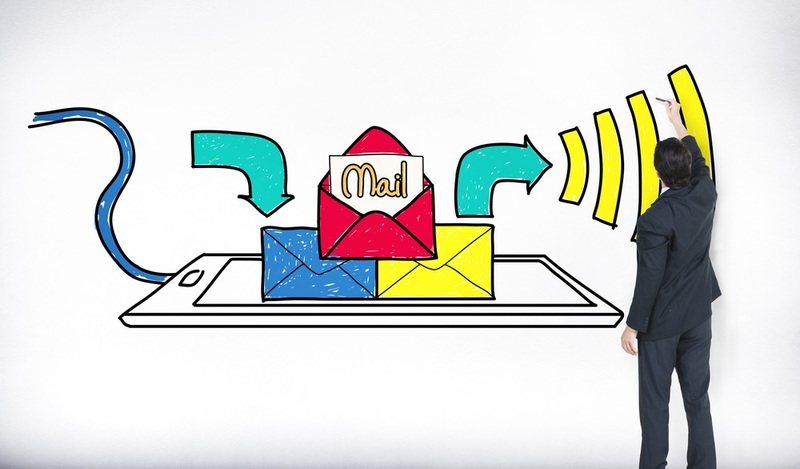 Email is a powerful tool and an essential component of effective communication and operation for every small business, but you should be in charge of your inbox—rather than the other way around. For more information on how you can efficiently manage the flow of email, both for yourself and your small business, contact the team at Viral Solutions.